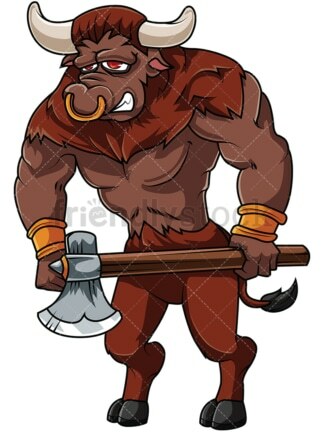 Royalty-free stock illustration of a muscular bull character with horns and a gold ring on its nose holding a sharp axe. Royalty-free stock illustration of a muscular bull character with horns and a ring on its nose holding a sharp spear, wearing gold armbands. 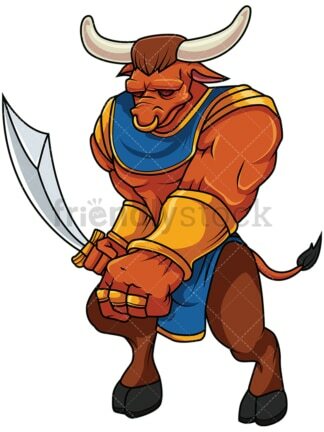 Royalty-free stock illustration of a muscular bull character with horns, closed eyes, and a gold ring on its nose, holding a sword and clenching its fist. 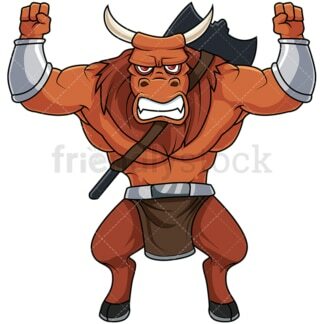 Royalty-free stock illustration of a fierce and muscular bull warrior character with horns and an axe on its back, raising hands up in the air like if it just won a fight. Royalty-free stock illustration of a muscular bull character with horns and dark-blue skin, raising a mace up in the air like if celebrating a victory in the battlefield. 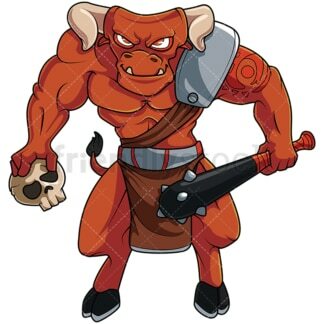 Royalty-free stock illustration of a fierce and muscular bull character with horns and red skin, wearing some plate armor, holding a club with steel thorns and a skull. Royalty-free stock illustration of a tough-looking muscular bull character with horns, blue skin and a gold ring on its nose, running while shouting. 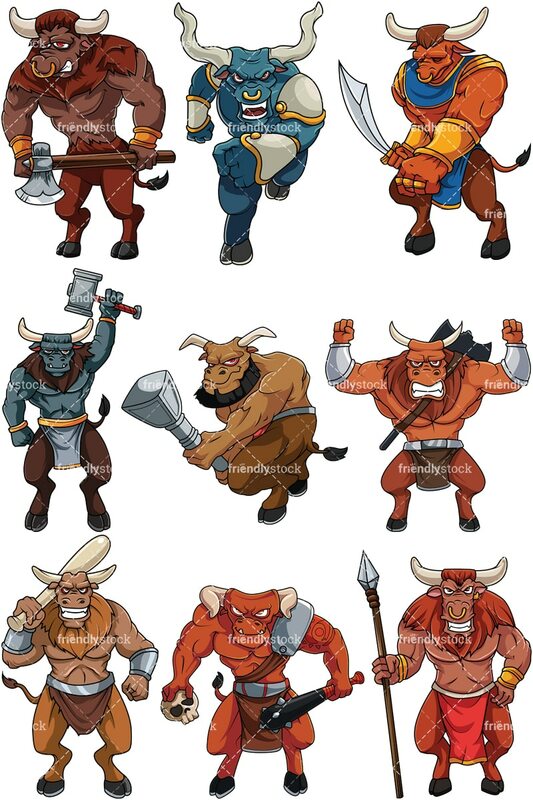 Royalty-free stock illustration of a muscular bull character with horns and brown skin, holding a club as a weapon and looking like a tough guy. Royalty-free stock illustration of a bearded, fierce, and muscular bull character with horns and brown skin, holding a mace as a weapon and smiling viciously.